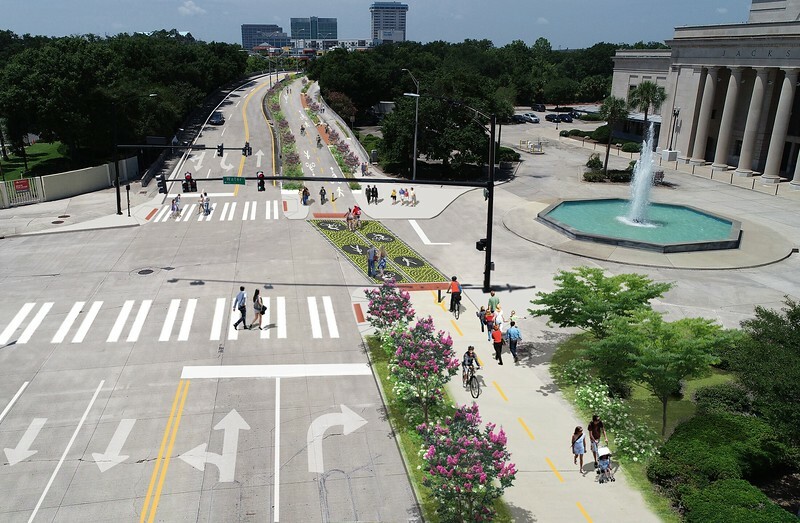 Groundwork Jacksonville earns City Council approval of Emerald Trail Master Plan. Plan will connect thirty miles of new and existing trails throughout the urban core. The Emerald Necklace was envisioned decades ago to describe a series of parks, trails, greenspace and creeks forming a necklace around Jacksonville’s urban core. 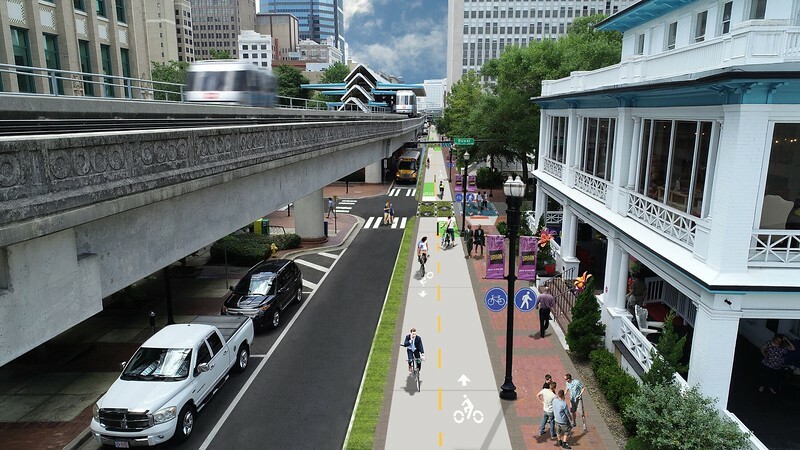 For years, it has been just an idea, but now the Jacksonville City Council has adopted a plan presented by Groundwork Jacksonville to build the Emerald Trail within the next 10 years. The only Trust in Florida and one of 20 across the country, Groundwork Jacksonville is the city’s primary nonprofit organization specifically created to restore our urban creeks and clean, redevelop and convert contaminated land into parks, playgrounds, trails, and other public green-space. The resolution, which was approved at the March 26 City Council meeting, adopts the Emerald Trail Master Plan, including branding and design standards, and encourages the City of Jacksonville to follow the master plan in the implementation of the City’s future trail planning and revitalization efforts. Excluding land acquisition costs, the estimated design and construction cost is approximately $31 million. Groundwork has an agreement with the City to manage the design and permitting of the project and has committed to raising at least 50 percent of the design and permitting cost from private donors, grants and foundations. Looking south at the Lee Street viaduct today. Looking south at the Lee Street viaduct after the completion of the 1.3-mile Model Project. According to Ehas, the next step will be to design and build the “Model Project,” a portion of the trail that will be highly utilized and will offer the community a tangible example of what the finished Emerald Trail can be. 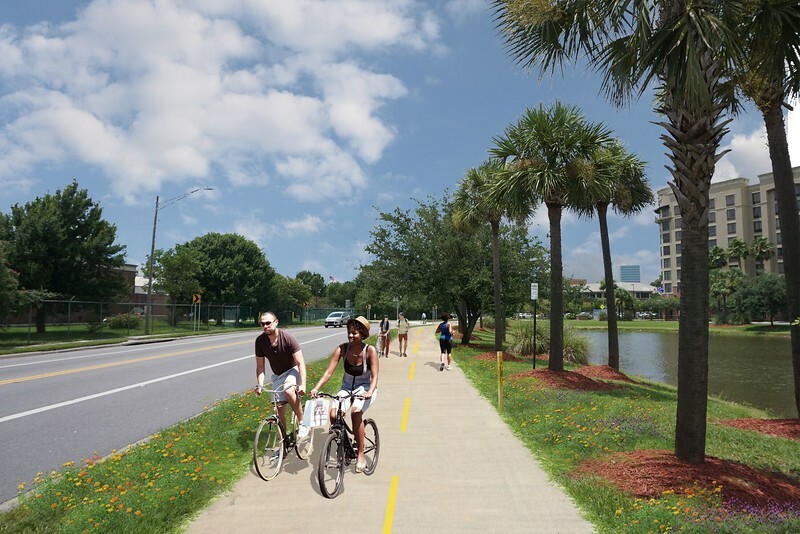 The 1.3-mile Model Project will connect the south end of the existing S-Line Rail Trail to the intersection of Park Street and Stonewall Street, near the Convention Center. The goal is to have the project completed in 2020. 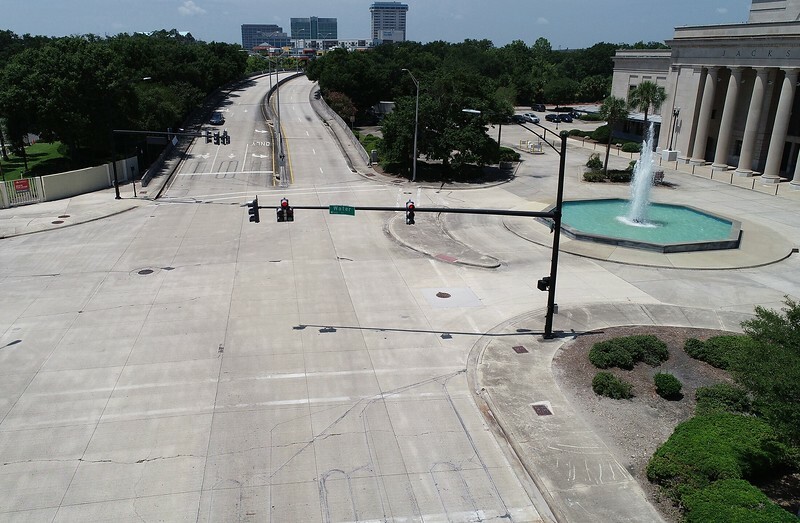 There are many advantages to this connection including multiple access points for the LaVilla and Brooklyn neighborhoods, the opportunity to connect to the McCoys Creek Greenway in the future, and no land acquisition is needed. The total cost for this first trail segment is projected to be $3.6 million. Groundwork is currently raising $900,000, or 25 percent of the Model Project cost. For the balance of the funding, legislation will soon be introduced to move funds into the 2018-2019 Capital Improvement Projects (CIP) budget for design. Construction funds will be requested from City Council as part of the 2019-2020 CIP. When complete, the Emerald Trail will encompass 19.7 miles of new trails connecting at least 14 historic neighborhoods and downtown to existing and/or planned trail segments including the S-Line Rail Trail, Hogans Creek, McCoys Creek, the Northbank and Southbank riverwalks and the FDOT’s Riverside connection to San Marco, for a total of 30 miles of trails and linear parks. “The Emerald Trail will not only create unprecedented recreational opportunities in the urban core, it is a transformative transportation and economic redevelopment project,” said Ehas. Groundwork sees Jacksonville’s neighbor to the North as an example of the impact this project could have. “If you look at the Atlanta BeltLine, the direct economic impact is almost $4 billion dollars thus far. We believe the Emerald Trail will deliver significant economic benefits to Jacksonville as well,” Ehas added. Groundwork Jacksonville developed the Emerald Trail Master Plan in collaboration with the PATH Foundation, the organization responsible for building more than 280 miles of trails in Georgia, and KAIZEN Collaborative, one of the Southeast’s leading trail planning and design firms.